1. How do I find a design that will meet my needs in terms of shape, size, and style? 2. How do I find a fiberglass pool manufacturer that produces a quality product and stands behind their product with excellent customer service? Fiberglass pools are built on molds....think Jello. If the Jello mold has a dent in it, so will your dessert. Fiberglass pools work the same way, only on a much finer level of detail. If the pool mold has any blemish, scratch, crack, or chip whatsoever, so will the pool. The result is what's known as a mold mark, which is ultimately a blemish on the pool surface. Manufacturers who properly maintain their molds greatly reduce or even eliminate mold marks on their pools, but unfortunately many manufacturers do not take the time to do this, and continue to build pools on neglected molds. We have found that only companies of the highest integrity take time to pull a mold off the line during the busy season to do the necessary repairs. All manufacturers will claim they do this, but very, very few actually do. It's also important to understand that if you look hard enough at any pool, an imperfection will be found. Pool thickness isn't everything, in the sense that the thickest pool isn't necessarily the best. However, the pool needs to be thick enough, especially in the right areas to withstand the pressures that are sure to be exerted upon it. We have experienced thin pools from other manufacturers in the past and it led to problems such as hairline cracks in the gelcoat, pools that weren't strong enough to be unloaded, and pools that failed in the ground. One thing to totally ignore regarding pool thickness is the pool sample provided by salespeople. That is a sample panel made for the sole purpose of sales and is not representative of how their pools are really made. The one way to insure your pool has enough fiberglass is to weigh the pool. When the pool is lifted off the delivery truck we have the ability to check the weight of the pool to match specifications from the manufacturer. So far as we know, Rintoul's is one of only a few other installers in the country that does this. For the record, fiberglass pools are never installed perfectly level, but they need to be within an inch or so. We shoot for a half inch during installation, but we're not talking about installation right now, we're talking about how level the pool is manufactured. The levelness of a pool has a direct baring on how well it's installed. A fiberglass pool that is built level and installed properly does not require tweaking, twisting, or manipulating the pool shell in ways that could result in short or long term damage such as cosmetic or structural issues. Level pools come from level molds. These best molds are supported with steel, which doesn't warp over time causing the mold (and the pool that's built on it) to change shape. The alternative is to support the mold with wood, which inevitably will warp. It's not uncommon to see pools two to three inches out of level, and we have seen pools installed as much as six inches out of level. 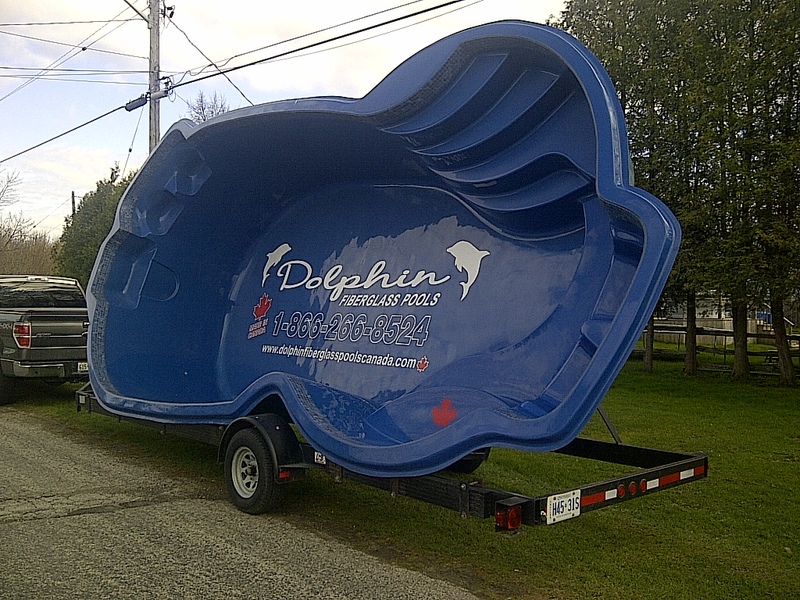 We are pleased with our current manufacturer Dolphin Fiberglass Pools in that their product is extraordinarily level...usually within one-quarter to at most one inch of being perfectly level. Different Shapes For Every yard!